About me Student of Price Behaviour. LONG CADJPY ABOVE 84.43 FREE TRADING SIGNAL! The AUDUSD failed to stay above the key 0.7243 even after the news this morning. We expect downside pressure to intensify in the pair. More lows expected towards 0.7148. The cable broke down the 1.4523 yesterday. Continuation is expected in this pair. Also watch out for more lows in the GBPJPY. Good Luck trading and trade with care. The picture says it all. We are long from 1.1156 for a test of 1.1240 and above. GLT and trade with care. This pair is the pick of the week in our weekly forex analysis. After FOMC today we saw momentum in the pair that took price above our buy level. Above 1.3015 we stay long in the usdcad. Watch the Weekly Forex Analysis here: youtu.be Read my blog on the selected pairs including EURUSD,USDJPY & AUDUSD. buff.ly GLT and trade with care. The bearishness in the AUD came back after the monetary statement jump. Price in this pair failed to make a lower low and we are long from 1.5526. 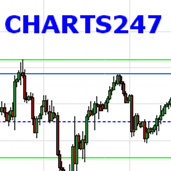 For continuation towards 1.5600 and 1.5690. GLT and Trade with care. Hi guys this pair as we can see is strong above current level. The drawdown from yesterday high is a discounting in price. Above 1.1452 we remain bullish in the eurusd. Check out the weekly analysis here: buff.ly Or watch the complete analysis of our selected pairs for this week here including EURGBP. youtu.be Trade with care !